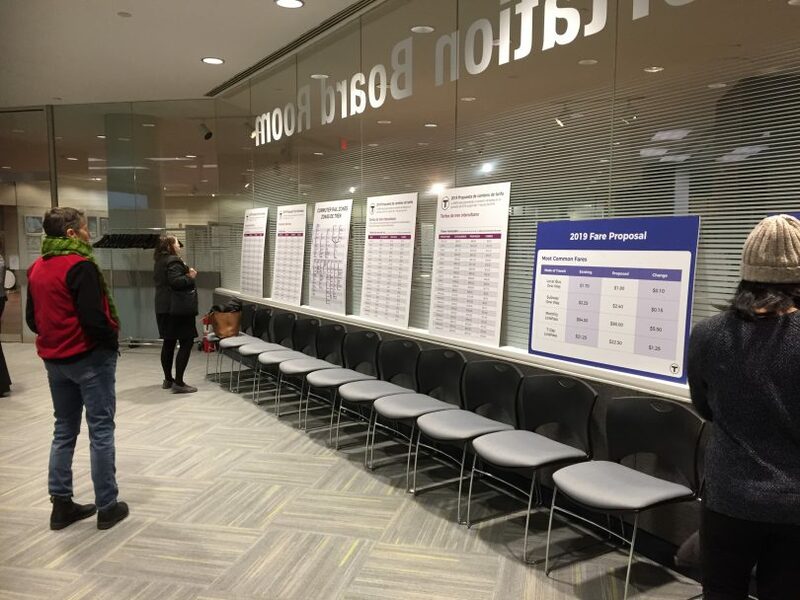 BOSTON — Just a month ago, the MBTA’s newly-appointed general manager Steve Poftak announced a proposal to increase fares by 6.3% on July 1, 2019. 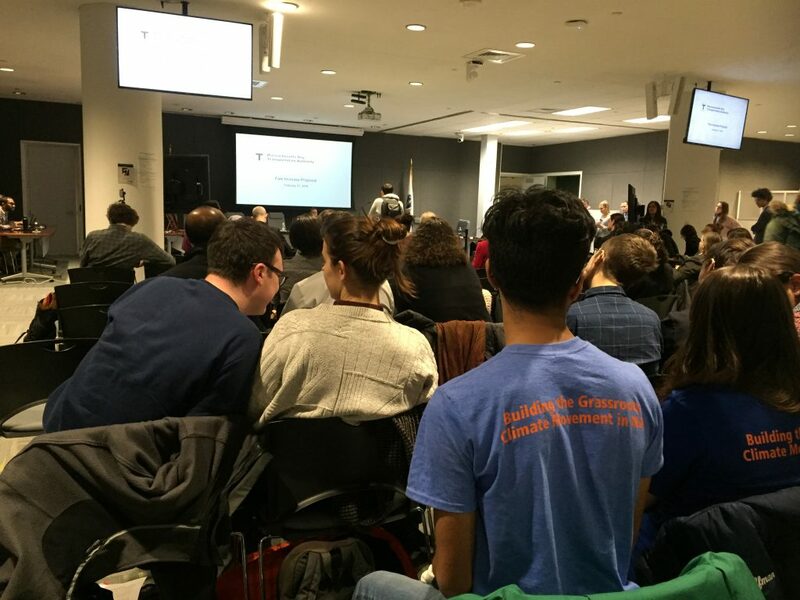 At a hearing on Wednesday evening, Massachusetts residents – many of whom commute to the Greater Boston Area for work – voiced their opinions about this proposal. While concerns ran the gamut from inequity, poor service, and accessibility, there was a common talking point among many speakers: climate change. The last fare change took effect in 2016 with a reported 9.3% increase in price. According to the minutes from a fare increase proposal hearing on Feb. 2, 2016, climate change and the environment were mentioned by three and five individuals, respectively. At this year’s hearing, over a dozen people mentioned the environment, climate change, carbon dioxide, or some combination of the three. Reverend Leslie Sterling of St. Bartholomew’s Church in Cambridge and Reverend Fred Small of Arlington Street Church shared the podium to talk about the threat of climate change. Both are part of a committee that unites faith and science to advocate for environmental policy in Massachusetts. “To stop climate change, we need more people riding the T, not fewer,” said Sterling. As part of its Climate Action Plan, the City of Boston released a report early this year on achieving carbon neutrality by 2050. Its recommendations to reduce greenhouse gas emissions include “expanding and improving public transportation” by increasing accessibility and ridership, reducing inequity, and implementing free or reduced-cost public transportation. State law limits the MBTA to increase fares only once every two years and precludes the agency from exceeding a 7% increase. With this proposed increase, the MBTA expects to raise $32 million in fare revenue while losing 1.3% of ridership, which is a metric not of the number of riders, but of the average number of trips taken per weekday, according to their own estimates. The most recent data on ridership from the MBTA dates to December 2017, in which there was an average ridership of 1.17 million. By the agency’s estimates, a 1.3% decrease would equal 15,210 fewer rides a day. Some people cited advertising as an alternative source of revenue. Last year, it accounted for 3.87% of operating revenue while fares made up 90.38%, according to the fiscal year 2018 preliminary itemized budget. This year, the MBTA estimates a 23.9% increase in advertising revenue, or $35.7 million. 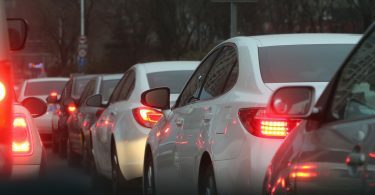 Others proposed upping the state tax on fuel, which has been 24 cents per gallon of gasoline since 2013, according to the Massachusetts Department of Revenue. 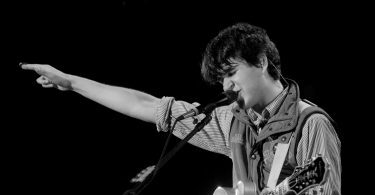 Egan Millard, 27, who works in Cambridge but is a resident of Weymouth, echoed what many attendees said throughout the evening. The quality of service is poor, vulnerable or low-income populations will bear the burden of the MBTA’s neglect with this fare increase, and commuting is already an expensive, financial hardship. Additionally, he said people who choose sustainable methods of transit should be rewarded. “The increase is unfair to those who most need it,” said Maggie Levine, 31, a local librarian. If Boston is actually serious about preparing for climate change, then they would make mass transit more accessible, she said. 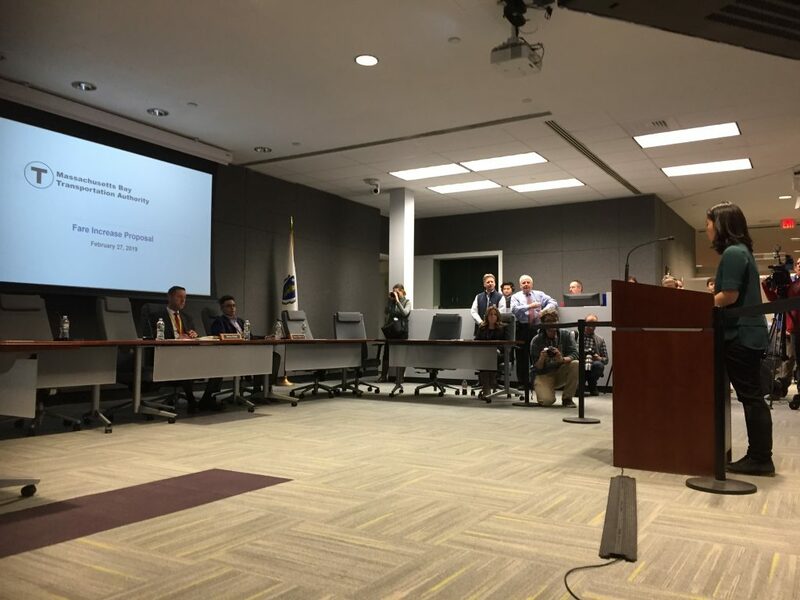 The MBTA Fiscal and Management Control Board votes on the proposal next month and will continue to accept feedback from the public until March 7.